After nearly 50 years in the business, Century 21 Real Estate was looking to refresh its image and establish itself as an innovative and relatable brand with respect to millennial homebuyers. With 66 million millennials in the U.S., the median age for first time home buyers is 31. However, ⅔ of millennials haven’t reached home buying age. Our objective was to position Century 21 as a resource for millennials who were curious about the home buying process. So, how did we bridge the gap between home buying and millennials? One word: Adulting. Channeling inspiration from academia and infomercials, we created an instructional how-to video series that showcased topics everyone must learn to conquer adulthood. Topics ranged from Mastering Business Casual to the Fundamentals of Picture Hanging, Host a Dinner Party Like a Boss, Medicine Cabinet Basics, and more. 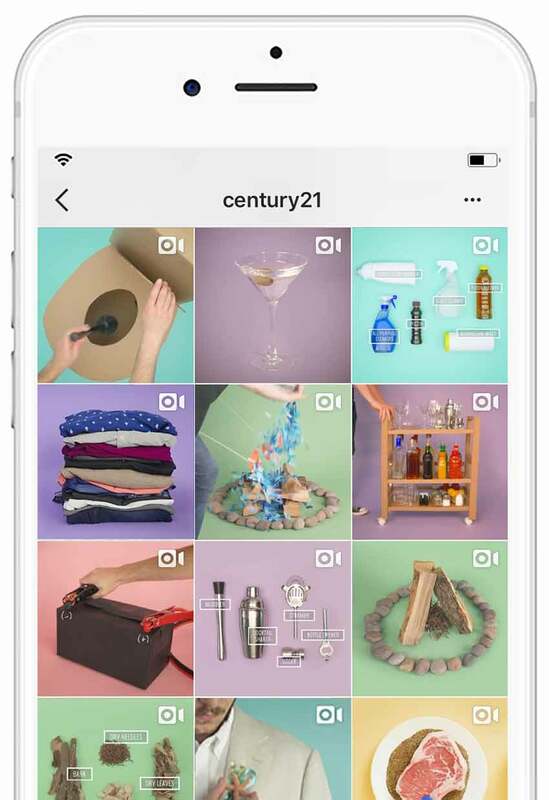 We repurposed the how-to videos in different video formats and styles including Boomerangs, Instagram Stories, and Canvas Ads. To round out the campaign, we created additional videos such as street interviews, real-life tutorials, adulting challenges, fail and success videos, and sponsored partnerships. To attract viewers and boost campaign engagement, interactive quizzes challenged, and celebrated millennials’ Adulting skillsets. In total, we created over fifty articles and quizzes, all housed on one microsite. By creating an in-depth guide to help millennials tackle adulthood, Century 21 Real Estate was able to become a trusted resource for conquering life’s big and little challenges.